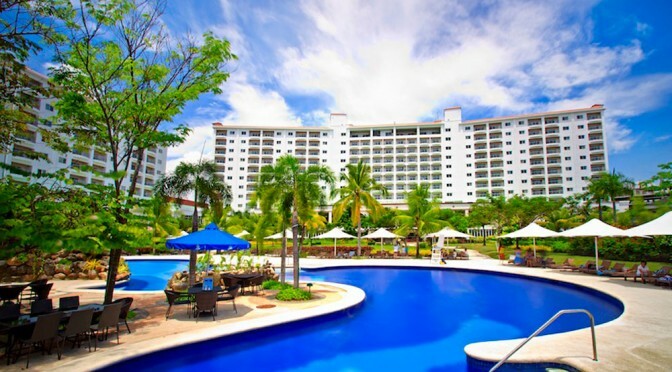 By June 1, Imperial Palace Waterpark Resort and Spa will start being known as JPark Island Resort Cebu (JPI). The move is intended to create a common brand for existing and upcoming products and services of Philippine BXT Corp., resort owner and operator, and in recognition of its Korean and Filipino owners, said Reno Bacolod, director of external affairs, during a press conference earlier today, Wednesday. “The change in brand is due to the (company’s) impending growth, a welcome growth, and one we are looking forward to,” said senior resort marketing and sales manager Angela Emphasis. She added that the use of Palace in the resort’s name limits any expansion to hotels and some of the plans in the pipeline entail the building of facilities without accompanying accommodations. “We are building more water parks in other parts of the country and some of them may be without hotels. We are looking at other kinds of properties to reach other audiences,” Emphasis revealed. Bacolod said the rebranding is intended to facilitate growth as the company is planning new projects in line with the bullish outlook for tourism in the Philippines. He added that they are looking at Palawan and Boracay as possible expansion sites. Except say that one big project is scheduled for next year, he did not disclose any other details. According to him, the new brand, JPark, pays homage to the company owners, Korean Yong Jun Park and the Uy brothers, Cebuano businessmen whose first names start with J. The new brand symbolizes the integrity and strength of the product and its owners, Bacolod added. He further said the JPark brand is very Asian and will continue to serve their predominant Korean market and at the same time attract travellers from other countries in East and Southeast Asia, who represent the fastest growing tourists in the region. Other changes that come with the rebranding include better services for guests that include the latest technology innovations in the hotel industry, explained front office manager Dorinda Lim. Philippine BXT Corporation and Imperial Palace executives announce resort’s new brand. There will be counters for free independent travellers and high-profile guests, more trainings for staff, and even paperless transactions, she added. Although majority of resort guests are currently Koreans, sales and marketing director Myla Mohammad said they are also aggressively developing other Asian as well as the US, China, and Russia markets. She added they are also working on getting a share in the highly lucrative Meetings, Incentives, Conferences, and Exhibitions (MICE) market. Among the Philippine BXT Corporation’s plan is to go public, although it still isn’t sure if it would list at the Philippine Stock Exchange or pick internatinal stock markets.